I spent a day birding around Siletz Bay (Birding Oregon chapter 37). This part of the coast is not one of the more scenic areas, but there are a couple spots tucked away that are worth a look. 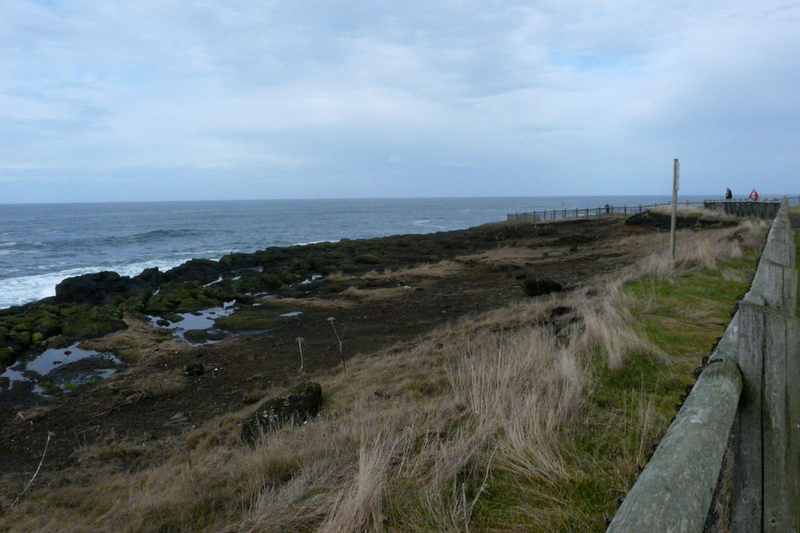 The main stop for the day was Boiler Bay State Wayside. 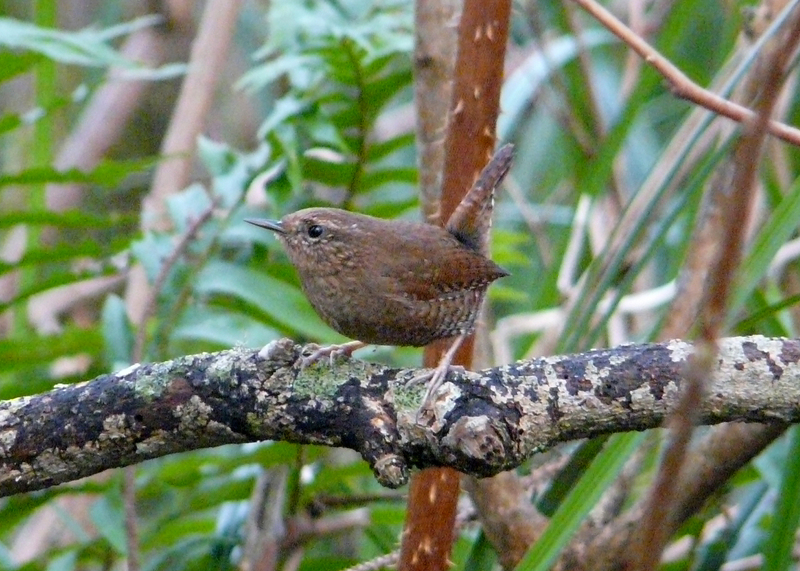 This spot gets a lot of press as one of the best birding sites on the Oregon coast. While it is true that Boiler Bay is the most likely spot to find a lot of seabird species from shore, the birding here is not easy. On many days, you must patiently scan the ocean with a scope, hoping to find a robin-sized seabird from several hundred yards away. While bird numbers were low overall, two hours of scanning produced a nice variety of birds, including Ancient Murrelets (a nemesis bird for me), Marbled Murrelet, Horned and Western Grebes, and a Rhinoceros Auklet. 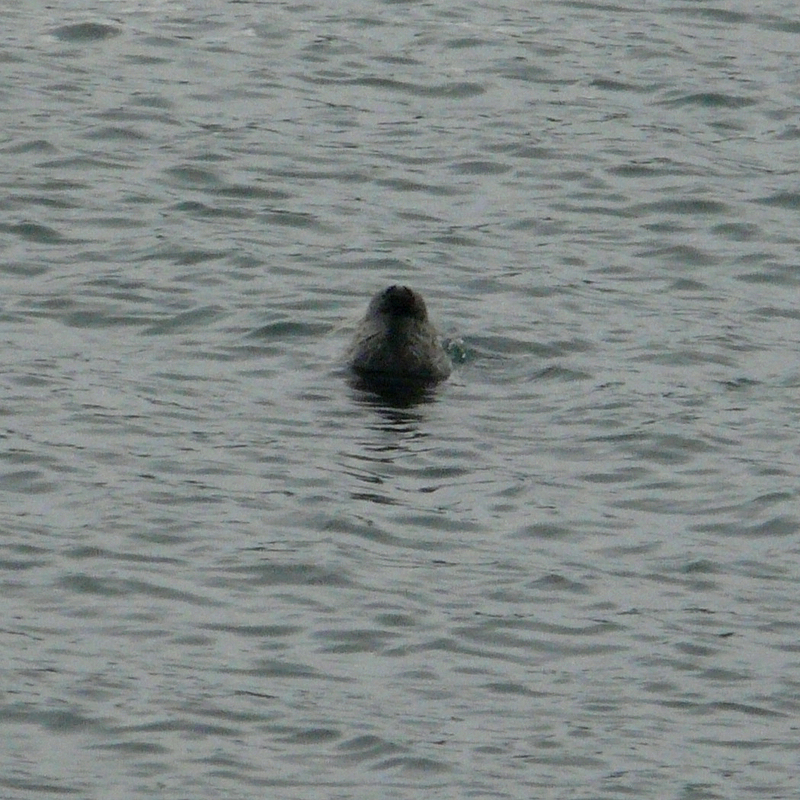 Several Harbor Seals were snoozing near the mouth of Siletz Bay. You can often see seals hauled out on the beach near the entrance to the bay. 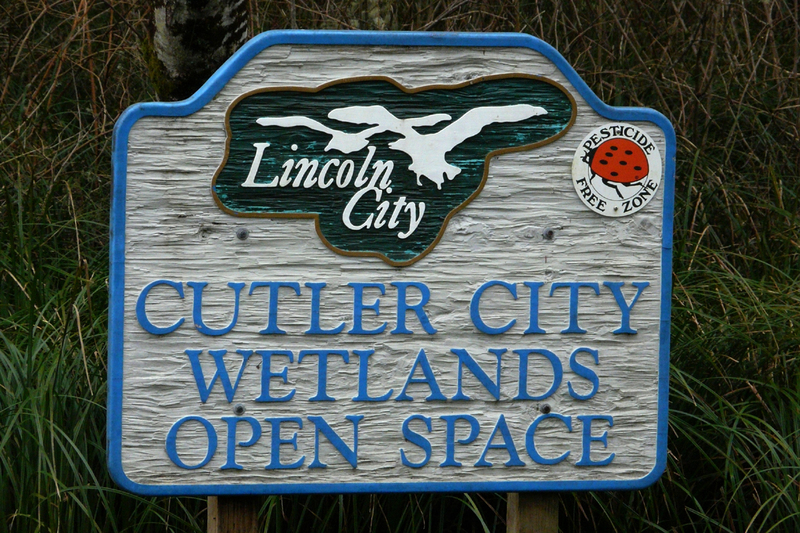 Cutler City Wetlands is a nice patch of woods worthy of exploration, especially during migration. From US 101, turn west onto SW 63rd Street. About one block from the highway, there is a small parking area on the right side of the road, just across from this sign. The property has a nice network of trails through a variety of habitats. 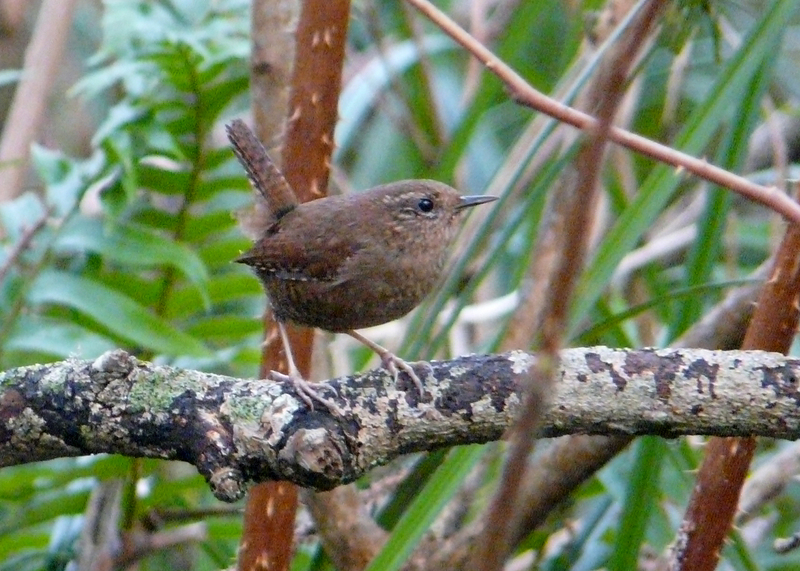 This Pacific Wren put on a good show, singing and perching out in the open for a few minutes. This species is seldom so visible. 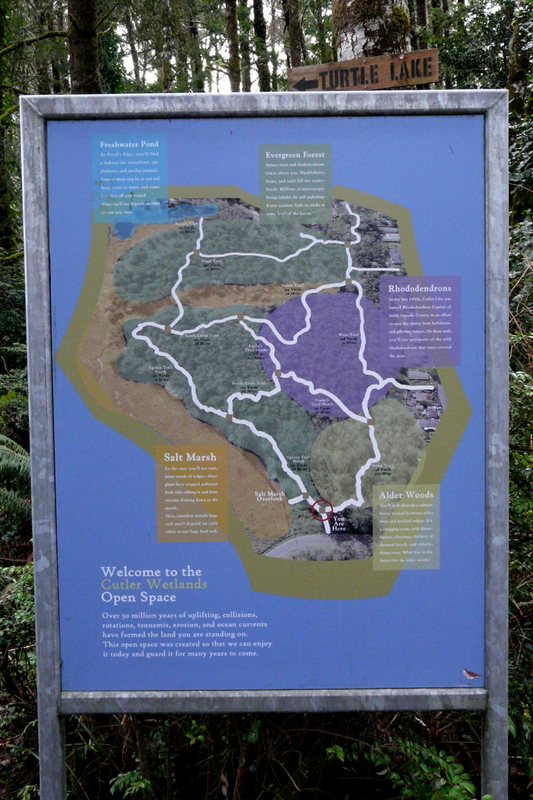 This entry was posted in mammals, OR Birding Sites and tagged Boiler Bay State Wayside, Cutler City Wetlands, Harbor Seal, Pacific Wren, Siletz Bay. Bookmark the permalink.